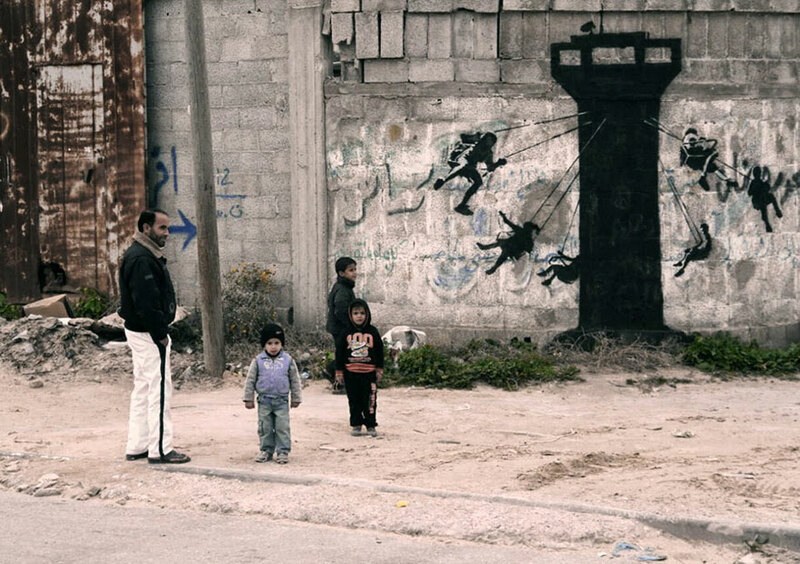 In a mock tourism video the mysterious artist released on his website, he gives us glimpses into the tunnels he used to sneak into Gaza and the locations of his artwork, along with some brief interviews with locals. 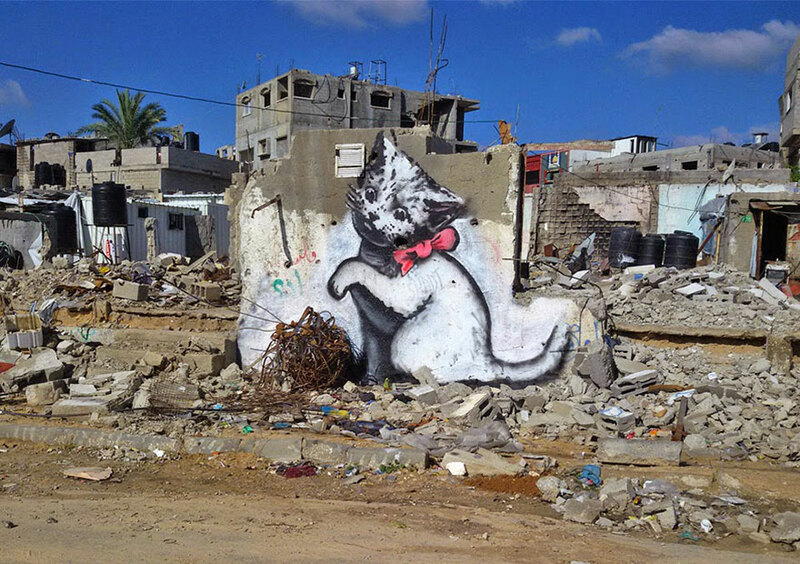 The artwork, along with the commentary laced throughout the video and his website, underscores the suffering endured by the people in Gaza and expresses the artist’s exasperation with the apathy he sees in the rest of the world. 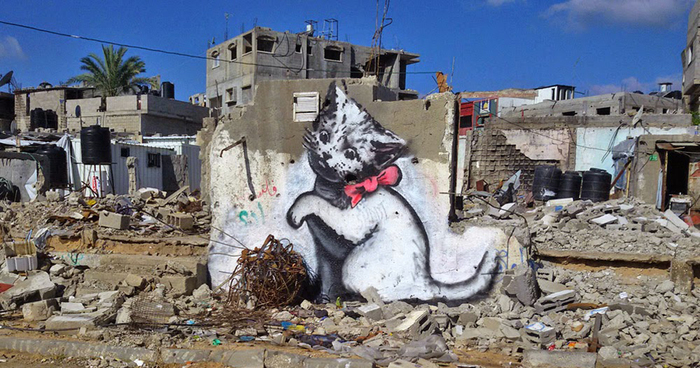 Whether or not you agree with Banksy’s stance on the conflict, he has once again reminded us why he’s so famous – because his pictures are worth more than even 1,000 words. 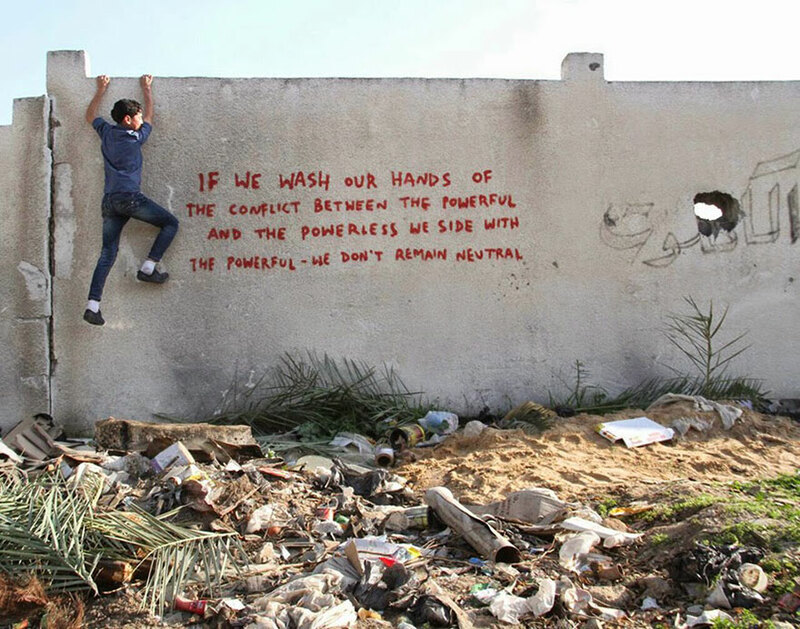 This sends a powerful message. 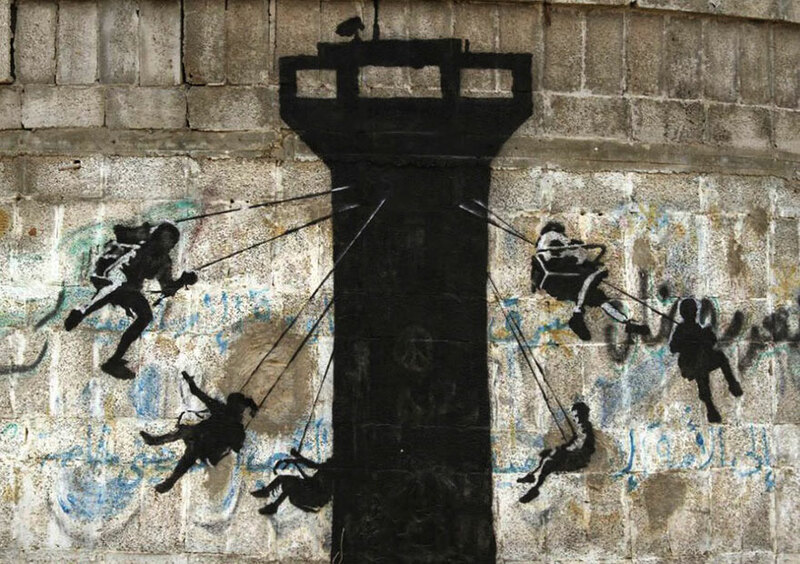 I think we often feel like there is nothing that we can do, but Banksy shows us that art can raise awareness.